Diabetic retinopathy is the leading cause of blindness throughout the world. In Armenia a little more than nine percent of the three million people who live in the country have diabetes — 270,000 — and all are at risk of getting diabetic retinopathy and going blind if their diabetes is not controlled. Statistically, of the 270,000 diabetics in Armenia, one-third have diabetic retinopathy — 90,000 people. And of these people, one-third have vision-threatening diabetes and require treatment — 30,000 people. If these Armenians do not receive treatment they will go blind. 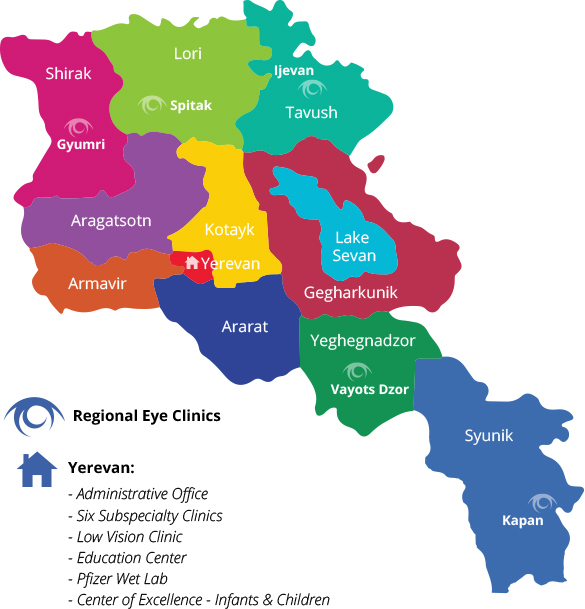 To prevent blindness from diabetic retinopathy in Armenia the Armenian EyeCare Project launched a country-wide Diabetes Program in 2017. Our mission: to prevent diabetic eye disease through prevention and early intervention. 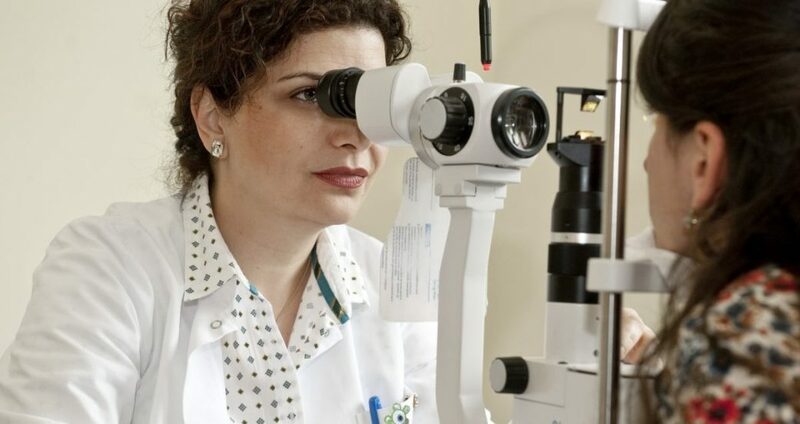 Using a retinal camera every person in Armenia with diabetes will be screened annually by a retina team, comprised of Armenian physicians trained by the EyeCare Project through fellowships at major U.S. medical institutions. They will photograph the retinas of all patients and record any changes. Patients will then be evaluated for signs of eye disease and referred for treatment if needed. Those that show vision-threatening disease will be scheduled for laser treatment. Any person identified with diabetic retinopathy will be treated before it is too late to prevent blindness. In support of our Diabetes Program, LDS Charities, the humanitarian arm of The Church of Jesus Christ of Latter-day Saints, has donated two $45,000 lasers enabling our organization to treat diabetic eye disease with a laser procedure following diagnosis, which will prevent vision loss and ultimately blindness. One laser will be put in our Mobile Eye Hospital, which travels throughout Armenia to provide care to residents living outside the capital, and the other will be at the Malayan Ophthalmological Center in Yerevan, the country’s leading ophthalmology hospital and where our Subspecialty Clinics are located. The lasers LDS Charities has funded are expected to treat thousands of Armenians in the coming years. In addition to the two lasers funded by LDS Charities, the AECP has also purchased an additional five lasers to be placed in each of our five Regional Eye Clinics throughout Armenia. These lasers will ensure that all Armenians — regardless of their geographic location or financial situation — have access to the highest quality diabetic eye care. 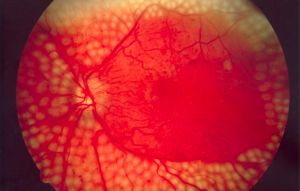 The retina of a patient with diabetic retinopathy after receiving laser treatment. Our Diabetes Program is also made possible through the help of the World Diabetes Foundation, which has funded a grant for a three-year, countrywide effort to reduce vision impairment and blindness from diabetic eye disease in Armenia alongside our organization. Diabetic retinopathy is a preventable cause of blindness — 80 percent of all blindness is preventable or treatable. Through its intensive prevention and early intervention retina program, utilizing retina cameras and software, we will demonstrate that these programs can treat diabetic retinopathy — a major avoidable cause of blindness. The recent funding of two lasers from LDS Charities will have a direct impact on the treatment of thousands of residents in Armenia with diabetic eye disease. Still, patients in Armenia need to be diagnosed with diabetes-related eye disease so they can be treated. This is why we are asking our donors, friends and the greater community to sponsor retinal cameras for our Diabetes Program so physicians can detect eye disease in patients with diabetes if any exists. We currently have 12 retinal cameras funded but require an additional 20 cameras to diagnose the large number of people in Armenia at risk for diabetic eye disease. If you would like to underwrite the cost of a retinal camera at $6,500 — in full or in part — for our Diabetes Program, please contact us or make a designated donation. Your name will be placed on a plaque and your donation will protect the sight of thousands of Armenians with diabetes.